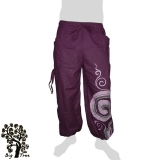 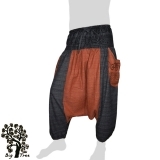 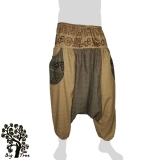 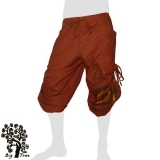 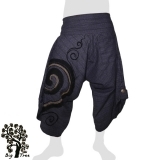 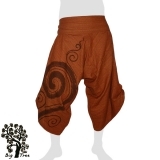 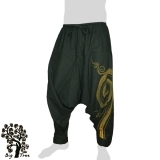 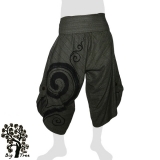 Here we offer a selection of comfortable pants made of 100% cotton. Many items are hand painted, usually a simple, curved symbol. 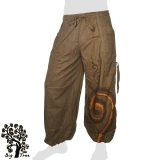 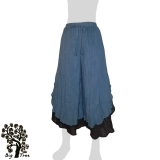 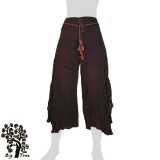 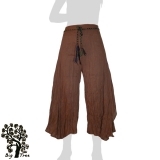 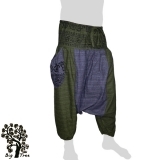 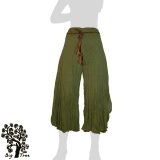 The sections of the pants differ from normal, Half Baggy to Baggy / Aladin Pants, and some thinner Lady pants alltogether in nice variations and natural colors.